A bike built for two can be the secret to combining a relationship with a bike obsession, enabling cyclists of different fitness to ride together. A tandem gives you get an extra turn of speed compared to solo bikes, among other advantages. Let’s take a look at the reasons you should add a tandem to your fleet, and how to choose the right one. There is a saying that couples who play together stay together; sharing an activity can really strengthen a relationship, whether it’s walking the dog, skydiving or riding bike. But for many couples the problem with cycling together is that one party is fitter, stronger or has better technique, experience, or equipment than the other. That leads to frustration on both sides as they fail to actually be together during the ride. A tandem can solve this. You’re on the same bike, so you can’t get separated, but there’s more to it than that. A tandem takes both riders’ power and puts it through the same transmission so it doesn’t matter if one rider is working harder than the other. You can hammer while your partner soft-pedals and you’ll still arrive together. This requires teamwork. The captain—the rider up front—has sole responsibility for brakes, gears and steering, but has to avoid sudden changes of direction, and to let the stoker know what’s going on. It’s vital that the captain warn of major changes of pace, anything that could wobble the stoker around and especially imminent bumps and potholes. The stoker is responsible for pedalling, waving at people, and taking the mickey out of the captain, though it’s important they sit reasonably still; start jumping around and you can seriously unbalance the bike. Both parties must accept that the other may have a different capacity for effort, so if one is flagging (or is weaker) the other should look upon it as an opportunity to have a better workout whilst giving his or her partner a more enjoyable experience. If you decide that you do want to ‘play together’, pitching the idea of a tandem has to be worth trying. If you’re successful, you have automatic support in the ‘n+1’ discussion, and the alternative might be that you might have to take up your partner’s chosen activity. Once you have agreement to proceed you will need to put some work into maintaining that enthusiasm during the initial teething difficulties, and in my experience the best way to achieve that is by making sure that your partner enjoys the ride every time. That doesn’t just mean agreeing to visit a pub or coffee shop, but it is more about not suffering machine malfunctions, not being uncomfortable, not suffering unnecessarily, not being made to feel nervous, not having disagreements, and so on. When you are out cycling you will find that for some reason the public often like to shout comments to tandem riders as they pass, but unlike solo bikes these are nearly always supportive or jocular. By far and away the most common call that you will hear is “she’s not pedalling”, which is a standing joke in tandem circles. More imaginative types shout “she’s behind you”, and occasionally we hear “I want one of those” when passing the slowest member in a group of cyclists. And of course there’s “can you ride tandem?” from bystanders old enough to remember the PG Tips chimps. A tandem has the weight and power of two riders, but its aerodynamic drag is only a bit more than a solo. This means a tandem is a bit faster on the flat than a solo, and a lot faster on descents. It’s not hard to hit well over 50mph on a fairly moderate downhill, and tandems—sometimes with as many as five riders providing the power—were used as pacing machines for track racing and the 600km Bordeaux-Paris race before the advent of derny bikes. Tandems have a reputation for being slower uphill than solos. Many tandem teams comprise one faster and one slower rider, so their average power-to-weight ratio is lower than a fit rider on a solo, and they’re slower uphill. But a pair of fit, experienced riders who are used to riding together give little or nothing away to a solo on climbs except the ability to accelerate quickly. One issue that you will need to consider is how to store or transport the machine. If you think that’s difficult with a solo bike, the challenge is greatly increased with a tandem, and having a ready solution will help your cause. On some tandems it is possible to partly address the issue with S & S couplings, which allow the frame to be broken down into small sections. But when you realise that it costs the best part of £2,000 to fit a tandem’s worth of couplings this is hardly the sort of thing that a first-time buyer would consider. The first rule of tandem life is to take a trial run with your partner to check your on-bike compatibility before fully committing. It does not matter how good a rider you are, if you can’t work together as a team it will be a miserable experience for both, but get it right and both parties will feel the benefit. To put it another way, a team of two strong but incompatible riders will make 2 + 2 = 3, whereas a pair with different strengths who can work well together will make 2 + 1 = 4. Unfortunately a test ride is not always easy. Tandems are rare beasts, and dealers that work with them are even rarer. One of the best options available, and one that I can recommend from personal experience, is a visit to JD Tandems in Yorkshire. Tucked away on an industrial estate in Gargrave near Skipton, JD is very much a specialist ‘destination store’; here you will find up to 40 tandems on display from at least 7 different brands – and every one of them is available for a free test ride. From a wide selection of conventional tandems through to electric, folding, and semi-recumbent machines, there are enough options to satisfy anyone. Just remember that it as much a test of your partnership as it is of the bike. A similar experience is available at The Tandem Shop; you may remember it from this story about refurbishing a tandem. St. John Street Cycles also has a good reputation for their tandems. As a rule of thumb, a tandem will cost at least twice the price of a solo bike with a similar looking specification, so you should expect the performance of a £2,000 machine to be comparable to a good solo bike costing around £1,000. If you spend the same amount on a tandem as your solo bike, don’t expect them to perform to the same level. In some cases the reason for the extra cost of a tandem is obvious: there are twice as many ‘contact points’, i.e. saddles, pedals, and bars, there is nearly twice as much frame and there’s that extra chain and crankset in the middle. However, some of the increased cost comes from the use of specialist parts that help to make riding a tandem fun and reliable. Components like beefed up hubs and highly-adjustable rear stems are designed to cope with the greater forces or different dimensions on a tandem, and with the lower production volumes they simply cost more. As general rule, higher price machines will use more of these specialist parts, whereas cheaper machines will be forced to use more solo bike components to keep the price down. You won’t find the tandem equivalent of a BSO (Bicycle Shaped Object) for only a few hundred pounds, as the extra complexity and low volumes make the category unappealing to the mass market brands. A few machines are available from around £500 RRP, such as Simmonshohn and Viking, but things really start to get interesting as you approach £1,000, which is where some mainstream brands such as Dawes enter the fray. There seems to be a sweetspot for tandems as you approach £2,000, with more brands and significantly better machinery on offer. For some brands their entire range begins and ends in this price bracket, such as the generalist brand Ridgeback; for more specialist brands such as Orbit or Thorn this is merely the start of a range that really does justify the comment “you could buy a car for that price” at the other end. As prices climb towards £3,000 and beyond, the machinery does get better, but it is case of diminishing returns: just as with solo bikes, a doubling of price does not bring twice the performance – although you do find some very nice bikes. A good tandem frame is more than just two solo frames stuck together, but many people have done that over the years – although not normally as well as this. A tandem frame has to contend with more power, weight, and length, and if the frame is not stiff enough it will introduce unwelcome flexibility in the bike and a general vagueness to the handling. Extreme stiffness may be unwelcome on a solo bike, but it is much more desirable on a tandem. Getting out of the saddle together and standing on the pedals when appropriate is just as welcome and effective on a tandem as on a solo machine. The necessary synchronisation can be hard enough to achieve at the best of times, but a flexible frame will make it considerably harder to master. Some brands try to minimise this flex by keeping the overall length of the machine short, mainly by reducing the space given to the rear cockpit. Not surprisingly this makes for a cramped and uncomfortable experience at the back, and gives tandems a bad name. If the frame is stiff enough this is unnecessary, and the best way to achieve that is through tandem-specific choices to tube diameter and/or wall thickness – all of which cost a bit more. When it comes to sizing, not only do both riders need a suitable size, but that particular combination needs to be available as well. It is customary to put the larger rider on the front, and standard size options reflect that. Brands can save money by offering fewer frame size combinations, but then the chance of one or both riders having to compromise is increased. Although a tandem is never going to handle the same as a bike-for-one, a good one will give you the confidence to do almost anything that you would on a solo bike: you just have to remember about the longer wheelbase when turning, avoiding potholes, interacting with traffic, etc., and be aware of the increased risk of grounding something over rough ground. As with any bike purchase, there will be some component choices to make, but with some extra considerations in areas where it does not pay to cut corners on a tandem. Wheels have a harder life on a tandem than a solo because they’re carrying twice as much weight, so this is not an area for economising. Most tandem wheels follow the theory that more spokes make for a stronger wheel, so ‘proper’ tandem wheels will have 40 spokes, or even 48 for heavy-duty use. However, more spokes are not a substitute for a well-built wheel, so it is best to aim for both. If you are generally light on your equipment you might be fine with 36 spokes, especially on smaller wheels, as long as top quality components are combined with good wheel building: I have been using the same 36 spoke 26-inch wheels for 13 years without problem, although rarely over rough ground or with heavy loads. Most rear tandem hubs are 145mm wide, as this reduces the amount of dish over the 135 mm you find on mountain bikes, resulting in a more even spoke balance and improved strength. Front hubs use the regular 100 mm standard. The only special consideration for the tyres is trying to avoid sidewall failure, which can afflict tandems; this may not be the place to use the lightest carcass in a tyre’s range. You will almost certainly want both higher and lower gears on your tandem than on a solo, even on the same roads because you’ll be going faster on descents and the flat, and probably slower on the climbs, especially if one rider is tired. Single chainring set-ups are unlikely to work. For me the ability to change the gearing on a tandem to suit your needs (once you know what they are) is as important as the standard specification. If you find that you need higher or lower gears for a particular ride then you want to be able to achieve this with only a change of chainring or cassette, and not shifters, derailleurs, and chainsets as well. You don’t have to put up with a gear range that does not meet your requirements, especially if it is likely to reduce the enjoyment of a ride and remember that it is not just your opinion that counts! If you have different size riders you are likely to want different length cranks for each – and tandem-specific chainsets offer that. The combination of 175mm front and 170mm rear is fairly standard, and higher price chainsets often have more options. Whatever length you normally ride, having an even greater difference is especially useful if each rider has a different natural cadence, as shorter cranks make it feel easier to pedal fast, just as longer cranks make it feel harder. A tandem usually has a triple chainset to get a wide gear range, though some manufacturers have successfully combined a double chainset with very-wide-range mountain bike cassette to achieve a less-complicated wide range set-up. Every argument in the debate about rim versus disc brakes applies here, just to a greater degree: not only does a tandem have more mass to control, it can also make better use of very powerful brakes than any solo, because both wheels have much more weight on them to help with grip, and the distribution of that weight makes it harder to lock up the rear wheel or pitch over the bars. In that respect, if you go with disc brakes, then there is no reason not to run the largest diameter rotors the machine will accept, front and rear. However, be aware that this can put enormous forces through the fork, so it must be designed for the job. You can’t just sling a solo fork on a tandem. Rim brakes can perform perfectly well in most situations, as long as they are of good quality and well-adjusted; we have successfully descended numerous passes in the Lake District, Alps, Pyrenees, and Dolomites with just two V-brakes. If you add in heavy luggage or wet roads, then obviously more care is required, just as it would be on a solo bike. There are a few points to cover that won’t normally be a consideration when buying a solo bike. One is a suspension seatpost at the rear. The stoker does not have a good view of the road immediately ahead and so cannot prepare for rough surfaces by lifting his or her weight off the saddle. For some people it is not a problem, but for others the bounciness is worth it to take the sting out of rough surfaces. Even more tandem-specific is a third brake: it can be used as a supplement to the main brakes when moving, but has even more value as a parking brake. I don’t like the idea of using them as a ‘drag brake’, because of the risk of overheating. If you have one, I suggest that it is best for it to be controlled by the captain rather than the stoker (along with all the other controls), otherwise each end of the bike might have different opinions as to when to activate it. A tandem needs to connect the two riders’ pedals so that both power the bike. The most common way to do with is with a cross-over drive, which has single chainrings on the left, connected by a timing chain. As with many specialist tandem parts, a crossover drive is more expensive than two standard chainsets, mostly as a result of the small numbers made. Some older tandems put the timing chain on the right, connected to the inner ring of a triple chainset. This means a pair of conventional chainsets can be used, but only the outer two chainrings are used as the final drive. Life with a tandem will not suit everybody, but if you are lucky enough to have a compatible partner it is a great way to share experiences while doing your favourite activity. If you do go ahead, then it is important that both parties find it an enjoyable experience every time: work on that aspect, and if you are lucky then (like me) you will start to hear requests for upgraded equipment and ever more adventurous trips. Good stuff. My tip to anyone looking to try out a tandem is for the stoker to lightly rest their feet on the pedals when moving away from a standstill if the gradient permits. I just say “pedal” when I’m moving along comfortably - it avoids fighting one another, which can sometimes happen when captain and stoker are initially out of synch. Go for it, folks! which is great if your wife is small (as mine is) or for taking the children out. then cycle on "solo " to work ( be ready for the " she's fallen off the back " comments. If you live in South London, tandems, recumbents and special needs bikes can be hired by the hour from London Recumbents in Battersea Park and Dulwich Park - see www.londonrecumbents.co.uk. Ditto above. We got a (british designed) Helios mainly to transport our kids - which it is fabulous for - but also use it for two adults when needed. It is particularly handy for picking up a child from a playdate, or when my hand was in a cast and I couldn't ride solo. The Helios, which has 20" wheels, fits kids from 3.5 yo , and is small enough to fit most trains. this also make storage easier. In Edinburgh, Helios can be tried or rented from Laidback bikes, but a lot of us evangelistic owners will also loan out our bikes for a trial run. I've had a tandem for a few years, although it doesn't come out very often. You'll need extra long, tandem-specific cables for the rear brake and mech, with associated extra stretch and friction in the outers, so lube them well. I've added a couple of extra bits of outer zip-tied to the frame as guides, to stop a long length of inner flapping around and potentially getting caught on clothing. You'll probably get away with a normal cable for the front mech. If you're on hydraulic discs, you'll need a long hose, so find somewhere that cuts it off a reel. Mine has a 3-brake set-up. The front right lever is tandem-specific and takes 2 cables to operate both the front and rear rim brakes simultaneously, which needs a bit of careful pad spacing to get even braking. The front left lever operates a rear hub brake for a bit more brake when you need it. Communication is key, to let the stoker know what's going on up front. Get them to do any hand signals - easier for drivers behind to see it and leaves you free to concentrate on the traffic and brakes. Just as important is anticipation - where possible, timing junctions/roundabouts to catch a gap in traffic is far preferable to having to stop and get going again. No-one told us that you should have the bigger, heavier rider on the front, so we had him on the back, as not as confident with the controls. Does mean that they can see over your head, reducing the need for communication, at the expense of being a bit more twitchy. You can ride a tandem solo, which is handy for nipping round to pick a mate up, or something, but brings it's own problems. I once ended up powersliding mine round a roundabout when a foreign driver started to pull out on me - the lack of weight over the back tyre and a slightly damp road meant it started to break away when I put the brakes on. Fortunately managed to recover it and carry on. There's also a danger that drivers may well hit the back wheel if they think you're actually on a solo bike. Good article, but to correct one point, new tandems are available for a few hundred pounds, e.g. try Viking tandems on EBay. We have lots of them in our fleet at Charlotte's Tandems and they are a great starter tandem. As a road focussed website if generally disagree that you can pick much up for a few hundred quid, however this article does show many bikes that aren't really what I'd see as a road bike. Around £650 was where Viking started to get ok with a hybrid type tandem (sales make them a bit cheaper), I'd still perhaps spend that cash better 2nd hand. While we're at it, a big up for http://simply-cycling.org/ in Manchester that offer sessions on a range of tandems and adapted bikes/trikes at three athletics track locations, and weekend ride outs on roads/cyclepaths. 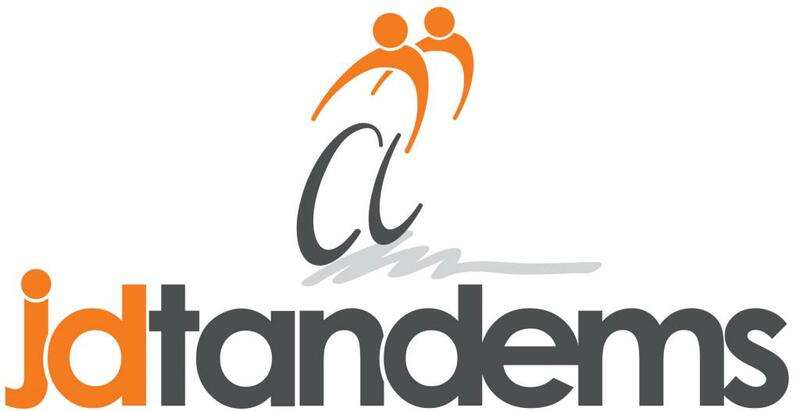 As we celebrate our 25 years of offering the Tandem Experience as a training platform along with Tandem holidays allowing couples considering the life of Tandeming a great start without commitment. This works alongside our Tandem Shop with its philosophy of creating well-designed tandems for all, from the novice through to expedition riders. Let's hope we see more people considering Tandems as another route for cycling with your partner and to lose the fairly dated "can you ride tandem" shout that I must admit we have not heard for some time. One particular wonderful point is that you are never old to do this as seen in our video. I have a vintage Pashley tandem that I am looking to sell. Some cosmetic rust but everything is in working order and runs great. I can provide photos if anyone is interested. I bought it about a year ago with the intention of doing it up a little bit, but with an imminent baby and moving house it just hasn't been used and could do with the space. Let me know if anyone is interested. Ha, that would make an excellent photo! Honestly I would love to hang onto it, but with my road bike, a hybrid winter commuter, wife's bike and daughter's bike, space is a real premium and the tandem just isn't being used so can't justify it. Another very happy Helios owner here. I started using it as a cargo bike with two child seats mounted in series. I've just returned it to Circe cycles to have the frame cut so that it is now a triplet (and separable to boot). It's a fantastic machine, and I can't recommend it highly enough. I detest driving in the city, and being on the same frame as my kids is the only way I feel confident to bike with them on anything other than very quiet roads. They can kick out a reasonable bit of power too, when we need to get up hills or sprint off from traffic lights. We are very fortunate that often we get to meet our customers many of whom have travelled great distances to come and try our tandems out. As well as the typical couple looking for a new tandem we have plenty of exceptions from the norm. We have lots of visually impaired or blind rear riders wanting to get out and about on a bike often with a selection of different pilots. 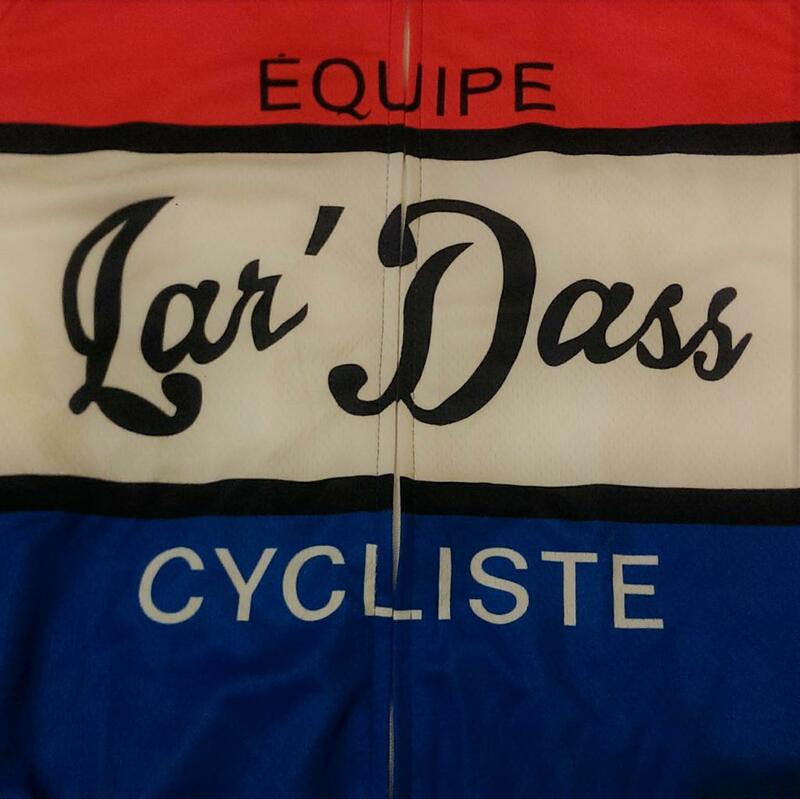 We have all male teams looking to take on challenges on a tandem whether it’s setting the LEJOG record, circum navigating the globe or riding up Mont Ventoux three times in a day. Similarly we have all female teams looking for their next big challenge, time trailing, coast to coast and sportive events. We have families towing babies in trailers, couples who have finished work and want to tour the World. We have had tandems purchased for wedding gifts and even one couple who got engaged whilst out test riding. 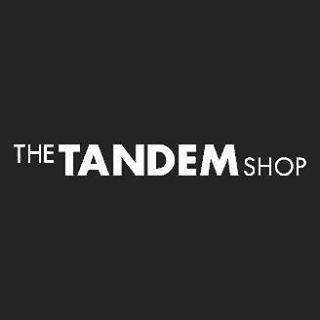 We have couples that have bought tandems to take home to countries including Australia, New Zealand, Ireland, Hong Kong, Norway, Sweden and France to name but a few. It really goes to show how diverse the tandem market is and that there is a tandem out there for everyone. That's a January sale price with limited stock, but looks (based just on the web page) to be better than a typical supermarket BSO. +1 for the Circe Helios, such a versatile bike and rides really well. With my husband we love riding our Jack Taylor tandem. Luckily our set-up allows us to swap captain-stoker positions, which makes adventures even more fun. The single thing I dislike about these rides however is the recurring “she’s not pedalling” comment. In the 3.5 years we had our tandem, we heard this countless of times but “he’s not pedalling” only on a single occasion. For me it stopped being an innocent joke, it’s a constant reminder of how in mixed gendered teams credit for hard work is still often given, by default, to men. On most tandems the riders do have to be matched in one way: their preferred cadence. If one likes to spin and the other likes to grind they will find that it's hard for both to share the work equally. Great article. I heartily encourage anyone to try tandeming if a suitable partner is available. I once heard the comment that whatever direction a relationship is heading, a tandem will take it there faster! I think there's some truth in this - good communication is essential for enjoyablentandeming, especially when getting used to it. - it's always the captain's fault! - learn good technique for starting and stopping before riding on the road. Captain holds bike securely upright, with feet planted well apart, while stoker climbs on and puts feet on pedals. Stoker backpedals to set pedals in captain's preferred starting position (captain will regret having feet too close together at this point!) then captain puts lead foot on pedal and you both pedal away. Stopping is the reverse - captain steps down with both legs, staying astride bike in starting position. Stoker keeps feet on pedals. If restarting, stoker positions pedals as per starting. If getting off, stoker climbs off first while captain keeps bike upright. Any attempts from captain to dismount first will result in kicked stoker! Getting used to not steering as the stoker takes some getting used to and leanimg as usual will interfere with steering. If possible with sizing, I recommend trying swapping places as it helps understand the challenges faced by each other! Ditto. Helios is good for the one on the back from 12 months to 99 years. I use mine every weekday for the school run and it makes cycling with a child much safer in traffic than on two seperate bikes. Much faster than a tag-along. My 9 YO son and I regularly get to 30mph (down hill!) Small enough to cycle solo and get in a normal cycle shed. Doubles up as a cargo bike - and it's fun! I love it. Brilliant article - thank you! Still sad that I'd to sell the family tandem - family all grown up, and moved away. Couple of things I'd add? Great if you've kids of wildly different ages/abilities - does the youngster of the family a power of good to appear faster and stronger than her older siblings . Worth fitting a mirror - enjoy the view of superfit roadie, busting his lungs and legs, trying to keep up. And failing. Only time could ever scalp these guys was on the tandem . Don't forget the original reason for Tandems - they're stupid quick on the flat and absolutely terrifyingly fast downhill. I rode in a two man team for a couple of seasons - mainly for fun and charity - but the looks we got when ripping through the crowds on sportives were hilarious. Tandems may not be particularly fast uphill but if you're the sort of riders who like to Sit and Spin up hills rather than stand up and honk it's not so bad. Don't believe anyone who says that two brakes are enough. You might get away with it if you're a very light boy/girl or girl/girl team but two blokes need at least three separate brakes and even then, beware of heating up the rims downhill. When a 32mm Gatorskin blows off the front rim from heat it sounds like 12bore going off and then you're both passengers for the split second before the crash. We called it a day after that.... The captain does more sedate rides with his wife now. Oh, and another vote for JD Tandems - great people.